I spot the Chevy Volt several times a week in the Nashville area. 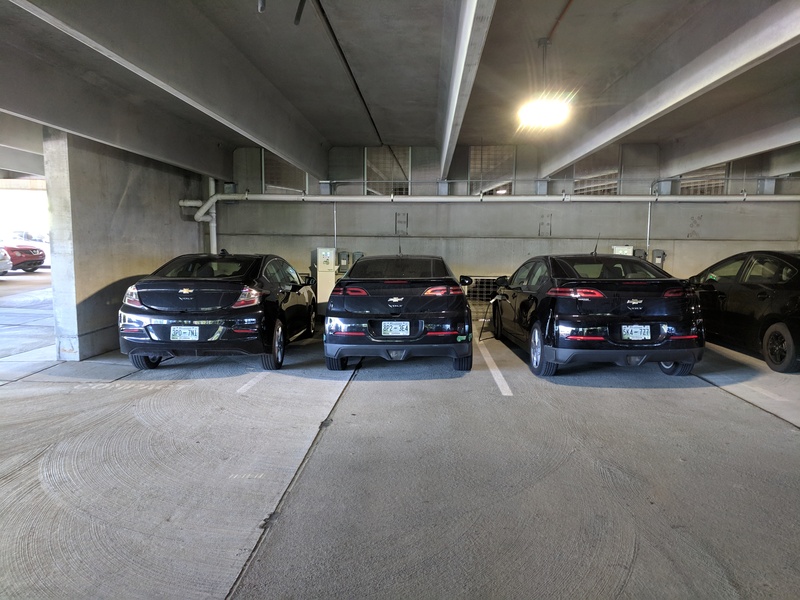 Never before have I seen three Volts lined up charging at the same time. Shame GM have cancelled this car, it has a very loyal following and is by all accounts an excellent vehicle. Trio of Volts lined up charging. The astute observer will notice that in this line up are Gen 1 and Gen 2 Volts. Can you tell which is which? If you know identity the Gen 1 and 2 vehicles put a comment in the comments section below. Parking lot dings are a hazard when we park in public. The ding I picked up on Thursday 11th April 2019 was rather bizarre and actually quite funny. You have to laugh or you’d cry. View from Front of Car at 11:50 am as a cart gets blown free from the cart parking spot. Here is the view from the right hand side of the vehicle as the cart makes impact. Here is the result of the impact. Paint stripped down to bare metal unfortunately. 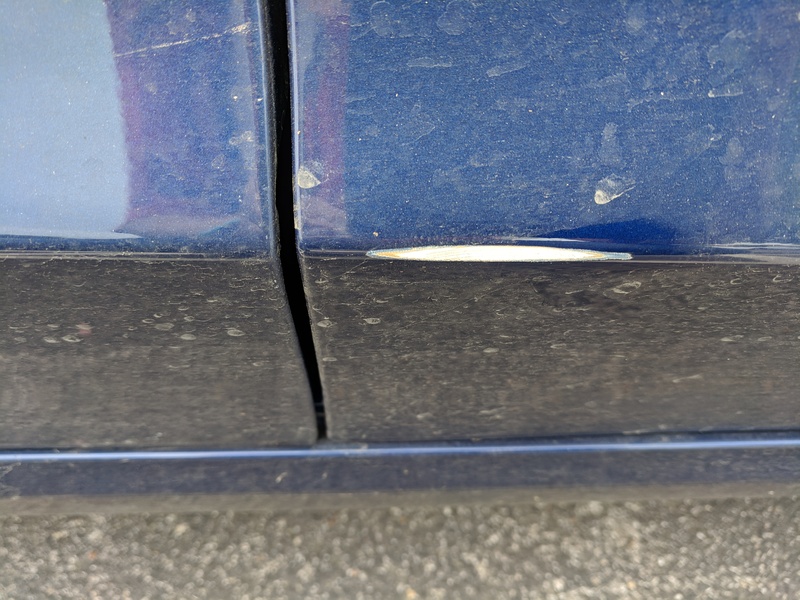 Damage to passenger door due to shopping cart impact. If it wasn’t for bad luck I suppose I’d have no luck. The videos were captured by Sentry Mode, a new feature my vehicle got just a few months ago. I have some touch-up paint coming. Doesn’t seem worth body work and re-application of ceramic coat. If the touch-up doesn’t work well I suppose I may have to get it painted. Here’s how the Cart got into it’s precarious perch. My Tax Refund is on its way!! 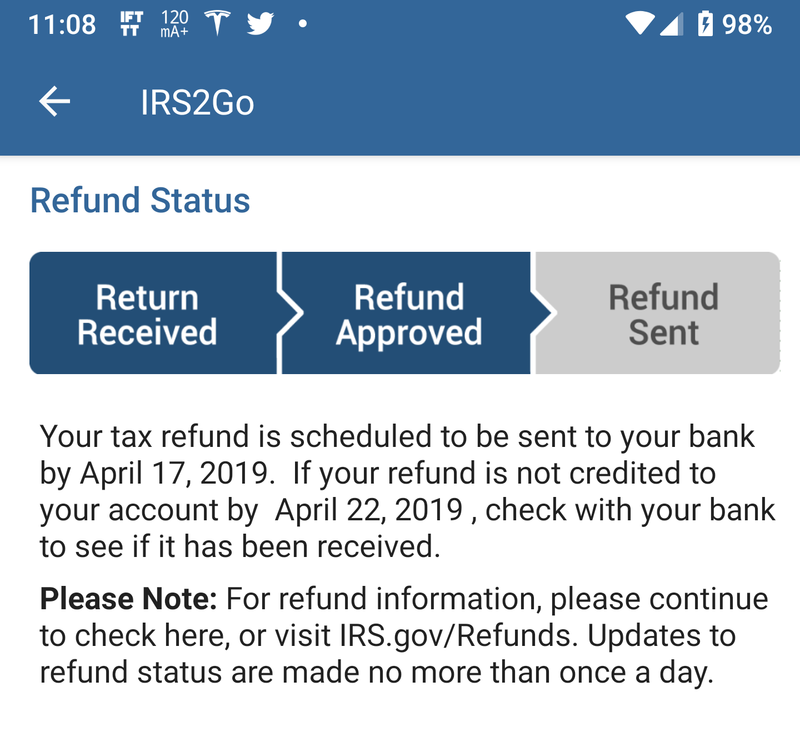 The IRS have approved our tax filing for 2018 and we have $6,160 coming back thanks to the $7,500 EV tax credit on the Model 3 we bought last year. The Tax credit was halved as on January 1st 2019. In response Tesla reduced prices. So did I pay more or less than I would today if I purchased the exact same car today? I paid $55,000, subtracting the $7,500 that comes down to $47,500. For the same configuration today it would cost me $50,500, subtract $3,750 makes the final price $46,750. So the difference is $750 more than waiting. I’ve done over 10,000 miles since October 2018. I feel comfortable that it was worth the extra $750 for the opportunity to drive this awesome car for the 6 months I’ve had it. 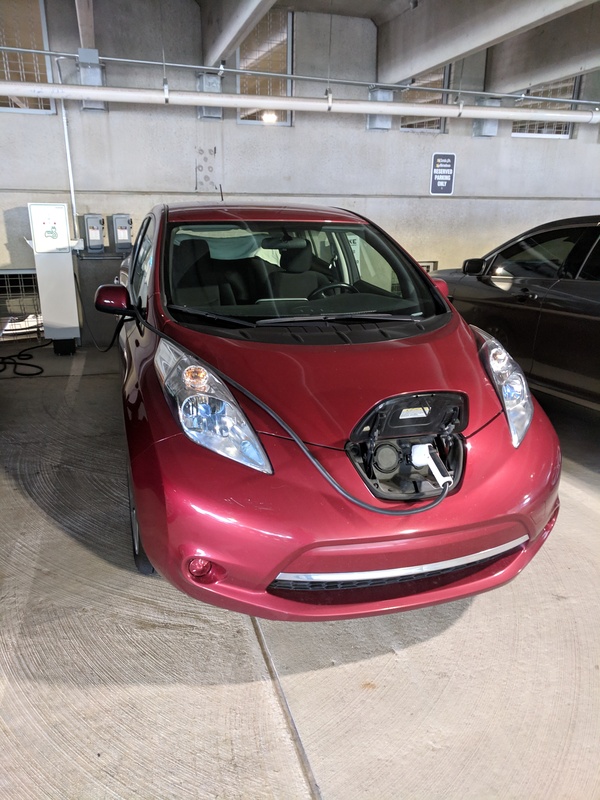 When we purchased our 2011 LEAF we benefited from the $7,500 federal tax credit back then as well as a $2,500 Tennessee incentive. We’ve benefited to the tune of $17,500 over the last 8 years from EV incentives. Many feel this is wrong for someone to benefit on the back someone else’s taxes. To get these credits you have to have adequate tax liability in the first place, in other words we’ve paid plenty of taxes anyway. It’s some of our tax money coming back to us. If we had not been due to pay the tax in the first place we would not have been eligible for the full tax credit. On a recent trip to Clarksville TN we stopped at the Blackhorse Pub and Brewery on Franklin Street downtown. I set Sentry Mode on the car as we parked on the street outside the pub close to a four way stop. A Harley Davidson pulled up at the side of my Model 3 and checked rifght of way through the 4-way stop. The motorbike revved its engine to pull away and the deep vibrations given off by the hog set off the anti-theft sensors on the Model 3 and I was alerted on my cell phone Sentry Mode had been activated. Sentry Mode plays music very loudly and also flashes the lights. Despite the system being triggered by a motorbike, I was impressed that sentry mode did not even wake and ready itself when people passed by on the sidewalk quite closely to the car. It seems as long as someone keeps moving by the car it ignores them. 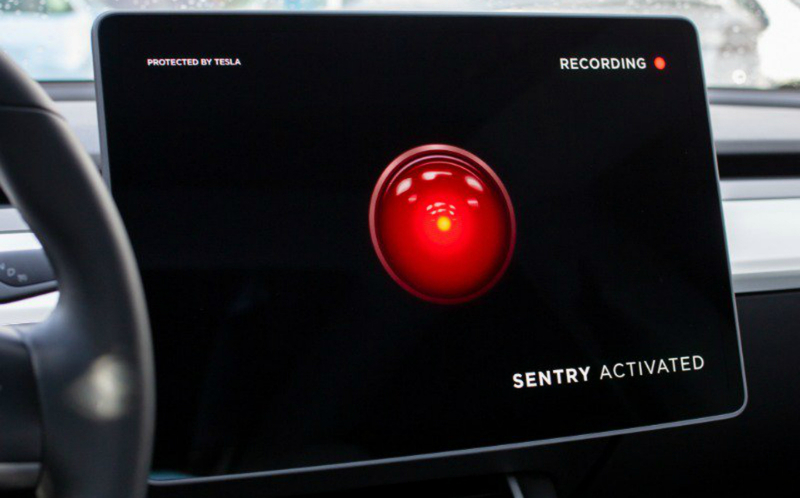 If someone stops by the vehicle then Sentry Mode readies itself and displays an image of Hal on the center console and a message saying “Sentry Activated” and “Recording” to let anyone lurking know they are being recorded by the car. 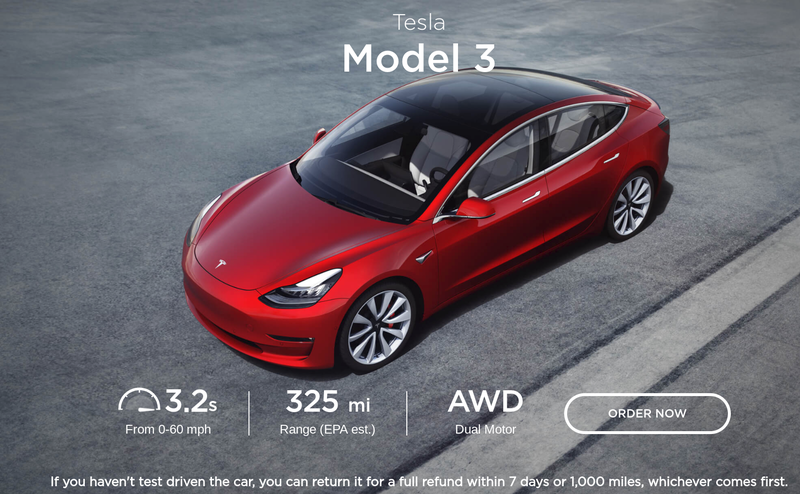 Tesla showcase the Model 3’s main features on its web page. If you didn’t know better the webpage for the Model 3 would lead you to believe that you can get a Model 3 with 3.2 sec 0-60, 325 Miles of range and AWD Dual motor drive. Just click “Order Now”. The reality is the vehicle that is capable of 0-60 in 3.2 secs is the Performance Model 3 which is rated for 310 miles of range not 325. When you click Order now that becomes apparent. The webpage is quite misleading being a hybrid of specifications which cannot all be true for an available vehicle configuration. Tesla have also been criticized for showing cost “after gas savings over 6 years” rather than show only the actual cost you need to pay. I don’t know why Tesla thinks it necessary to exaggerate the capabilities of their cars which are some of the best available. IMHO honesty is the best policy. LEAF driver leaves me thinking why? Just Why !?! In the eight years of driving an EV I have witnessed all manner of good and poor charging etiquette and habits. However, none of my extensive experience has adequately prepared me for today’s bizarre charging of a LEAF. Puhleeze. The charging port is at the front, pull in already! 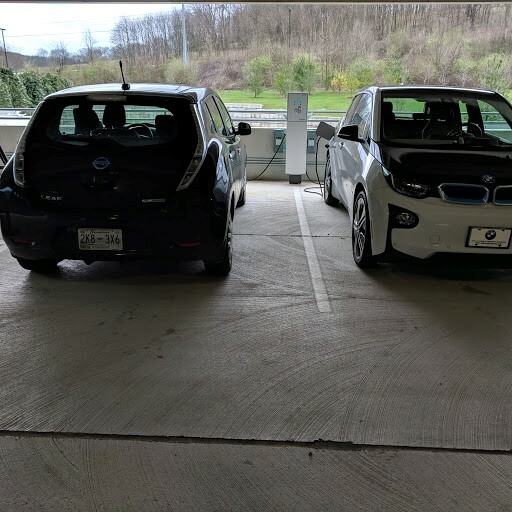 If you really must reverse into a parking space, consider an EV with a rear charge port like a Tesla. This is too bizarre. Your comments are most welcome. Rear Charging Port – Reverse In. This doesn’t have to be difficult. I fully expected the Model 3 to adjust to daylight savings time and it did. 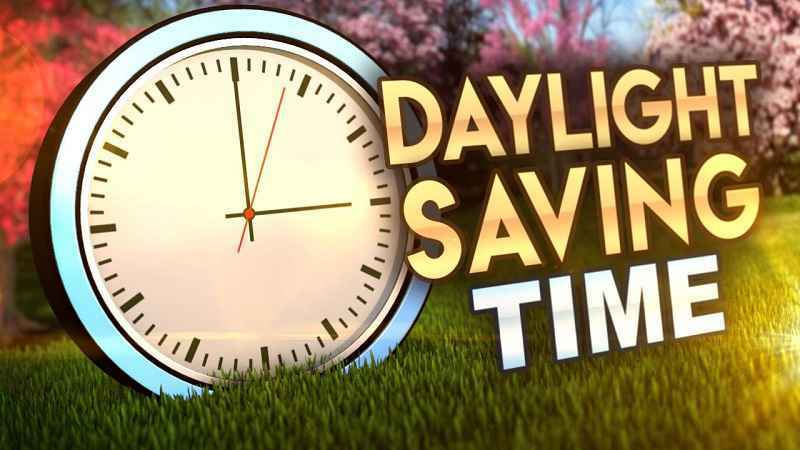 Reflecting on this I realize this is the first car I’ve owned that has adjusted its clock automatically. The 2011 LEAF has two clocks both of which require manual adjustment. So I still had to do that this past weekend. It’s kinda surprising that many cars have not automatically adjusted prior to now. I wonder how long before this basic feature becomes standard for all new vehicles.